Instantly downloadable sheet music by Jimmy Van Heusen for choir and piano (SAT) of MEDIUM skill level. Alle Noten von Jimmy Van Heusen zum Herunterladen bei VirtualSheetMusic. Instantly downloadable sheet music by Hoagy Carmichael for choir and piano (SSA) of MEDIUM skill level. Alle Noten von Hoagy Carmichael zum Herunterladen bei VirtualSheetMusic. Instantly downloadable sheet music by Curley Hammer for choir and piano (SAB) of MEDIUM skill level. Instantly downloadable sheet music by Bert Kaempfert for choir and piano (SSA) of MEDIUM skill level. Instantly downloadable sheet music by Van Alexander for choir and piano (SSA) of MEDIUM skill level. 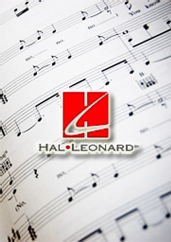 Instantly downloadable sheet music by Harry Warren for choir and piano (SATB) of MEDIUM skill level. Instantly downloadable sheet music by Jack Palmer for choir and piano (SSA) of MEDIUM skill level.